VERSATILE: The 'Versatile' grind design features toe, heel and trailing edge relief. RAW 304 STAINLESS STEEL: Raw finish improves spin performance with a softer feeling grain structure while diffusing sunlight to reduce glare. 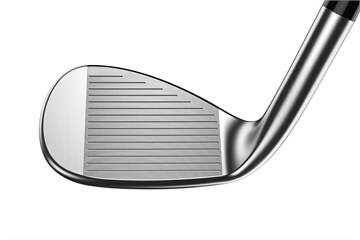 PROGRESSIVE SPIN TECHNOLOGY: New design with a larger gap between grooves in weaker lofted wedges, and narrow, tighter spaced grooves in stronger lofted wedges providing more consistent trajectory through wedge lofts. NOTCH TECHNOLOGY: Exclusive Cobra engineered design allows the sole and trailing edge to sit lower to the ground at address on square and open-face shots. 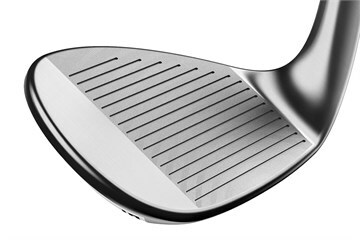 100% CNC MILLED FACE & GROOVES: CNC milling creates highly accurate grooves for consistent spin across the entire face. 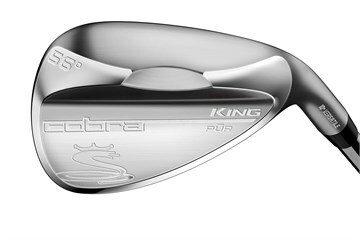 VARIABLE FACE ROUGHNESS: Cobraâ€™s patented milling technique delivers optimised surface roughtness across the face to maximise spin and control for more precise shots around the green. VIBRATION MANAGEMENT SYSTEM: Muscle back construction dampens vibrations for improved sound and a softer, yet more solid feel at impact.